Have you ever had an IEP and or received Special Education Services? If so, you must schedule an enrollment meeting with Special Education Teacher, Michelle Kelly before we can process your application; this is to ensure that we are able to accommodate your needs. Please contact Michelle Kelly by phone at 720-423-4949, or by email at michelle_kelly@dpsk12.org or contact Theresa Harrold by phone at 720-423-4948 or by email at theres_harrold@dpsk12.org to schedule your appointment. This first task is imperative. Completion of the “First Step” form helps our office track your progress through registration and it ensures that you receive the most up-to-date information regarding registration. Once you’ve filled out the form, please press “Submit” once only. After you’ve completed the form, you will receive an email that details the registration steps. It is very important that you reply to the email to let the outreach coordinator know that you are interested in proceeding. If you do not receive an email, please call 720-423-4901 as soon as possible. *Click the links to download and print the forms. This paperwork may also be picked up and filled out in our front office. MAP testing will occur during orientation. Be prepared to take either three tests for the diploma program (Reading, Language Usage and Math) or two tests for the GED program (Reading and Math). These tests will determine which classes you will join based on skill level. Please take these tests seriously. **IMPORTANT: If you have an IEP or require any special education services, please ensure that you meet with the special education teacher in advance of your testing date. EGHS’s special education teacher can be reached at 720-423-4949 or at michelle_kelly@dpsk12.org. You may proceed with scheduling the test before your meeting, just make sure you meet with Michelle before your actual testing date. If you are under 18, please be sure to have your parent or legal guardian sign the forms before submission. Parents or legal guardians are not required to attend registration if they have signed the forms prior to submission. Once documentation has been submitted, you will be scheduled for an orientation by the EGHS Enrollment Specialist. Orientation for diploma and GED spans two days and attendance on both days is mandatory. Upon successful completion of an orientation, you will begin your classes on the designated start date. During your orientation, the EGHS Student Policy Handbook will be reviewed. If you’d like to review it beforehand, you can access it here. Students who choose the diploma program receive a traditional diploma that is certified by the state of Colorado and Denver Public Schools. Students earn their diploma by participating in a competency-based curriculum. Students progress through a course when they demonstrate competency on pre-determined standards the required number of times. This may mean earning course credit before, at, or later than the end of a traditional semester. To graduate, students must show competency to earn credit for all required courses. Students who participate in the diploma program are afforded the opportunity to concurrently enroll in the Emily Griffith Technical College or at a community college of their choosing. 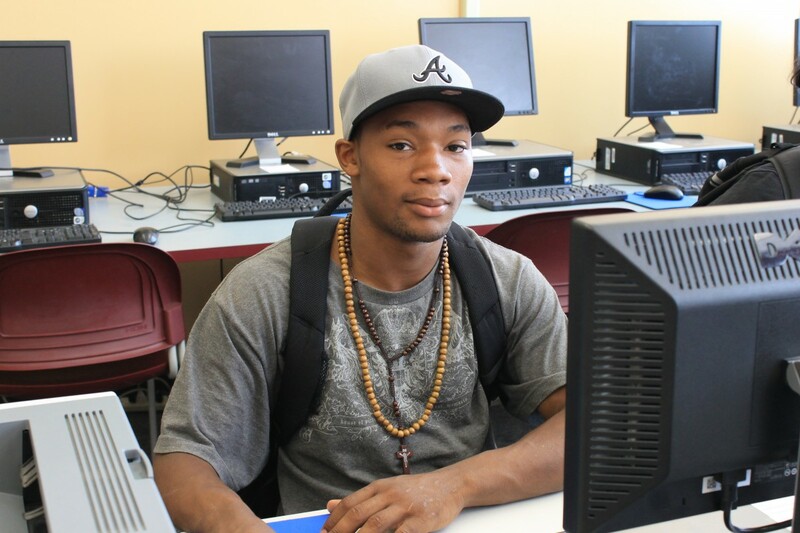 Many students choose the GED Plus Program as an alternative to a traditional high school diploma. The program offers a shorter class day, as well as college and career support. Click here to learn more about what the GED Plus program offers. GED students must posses a non-expired government issued ID (domestic or foreign); diploma students may present an unofficial ID. Diploma students must submit transcripts; GED students do not. EGHS Promo from DPStv on Vimeo. A HUGE thank you to Jordan Polovina of Grim and Darling and Whiskey Blanket for creating the music for the video. Another big thanks to D Tha Man for lending the space for musical creation! A great big thank you to Dan Wilder of UCD for helping to create the video! And last but not least, thank you to Lillie and Antonio for your marvelous acting! Our competency based curriculum affords you the power to accelerate the completion of a diploma or GED program. With small class sizes & a small student to counselor ratio, you are guaranteed a personalized education & support system. Experience a mature college atmosphere in the heart of downtown. Beginning your career path has never been easier with hundreds of free, on-site college level & technical courses available through the Emily Griffith Technical College. Graduate High School and College in Two Years? Carlos did. 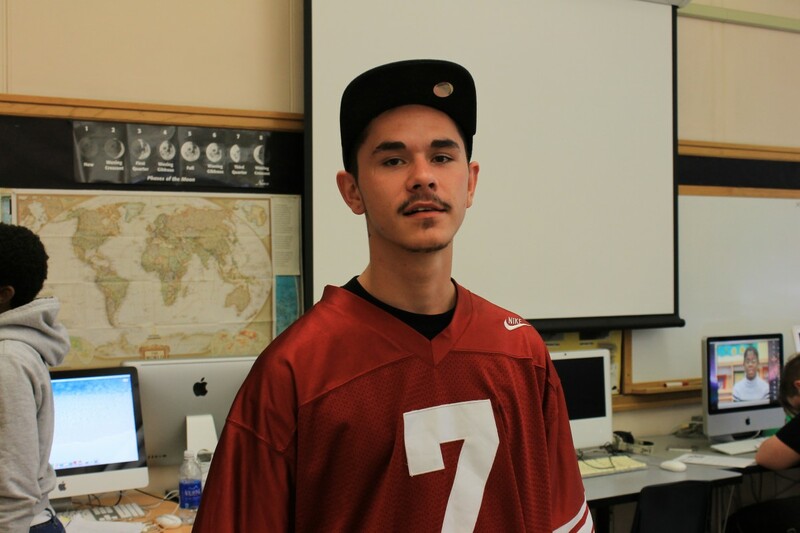 After a winding journey through other high schools, Carlos came to Emily Griffith High School. 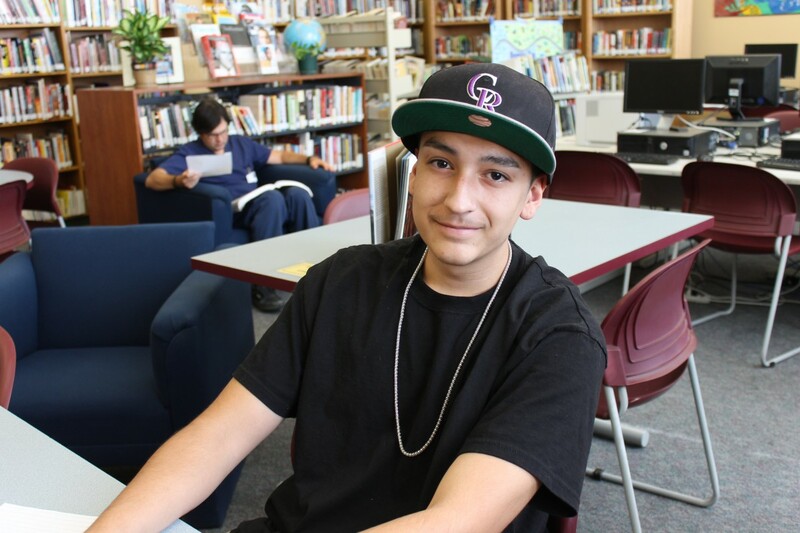 He found a path that suited him and earned his high school diploma. Taking advantage of Emily Griffith Technical College’s Concurrent Enrollment Program, Carlos also earned a certificate in Water Quality Management. Now, only two years after first arriving at Emily Griffith, a job at Denver Water awaits. Check out Carlos’ story in the video, and ask yourself: what could you earn with your opportunity? Emily Griffith is a quality school with good teachers who care if you’re okay and if you understand the material. (Food’s not bad either.) There’s a lot less drama than your typical high school. All the work is self-paced, so you are done with your classes quickly if you do the work. That’s why I chose EGHS. I like to come to Emily Griffith High School. When I was at other high schools, I would not learn anything. But now it’s like I’m understanding more and more about life and my class work. I never liked math, but one of the teacher’s, Ms. Short, helped me, and I got it. Now I’m okay at math. To me, Emily Griffith has given me a great opportunity for a second chance to get my high school education. The teachers, staff, and program have taught me more than I had imagined. I now have more of a desire to learn and be interested in things that I don’t know much about. It’s made me a better individual. I am more than grateful for that chance. Emily Griffith is one of the best schools for kids who need a second chance. I came to this school to get a high school diploma and a job. My counselor and teachers have helped me get closer to my goal. Everyday, I am completing work, and the classwork is easy and quick to complete if you work hard, and you can go at your own pace. There are simple rules to follow, and if you follow them, you’ll get along great. The students here are all in the same place. We all come from different backgrounds, and we all get along. There is hardly any drama. The kids and teachers are all nice and willing to help. If it weren’t for Emily Griffith High School and its staff, I wouldn’t be earning A’s and B’s. So if any kids are looking into schools and having a hard time deciding where to go, come here. Emily Griffith High School gave me a second chance….a chance to better myself and continue with high school. It opened doors for me because I was able to finish the Dental Aide program while still taking my high school courses. The school also provides new opportunities to expand my knowledge for the future. How old must I be to enroll at EGHS? You must be at least 17 years old to enroll. Classes are free until you turn 20 years old. What kind of diploma does EGHS offer? We offer a Denver Public Schools diploma issued by Emily Griffith High School. What do I have to bring when I apply? You will need to bring your birth certificate (or passport), immunization records, transcripts, and a photo ID. Does EGHS have a graduation ceremony? Yes. We have two graduation ceremonies per year—January and June. Can I begin classes immediately after my registration is complete? All new students must attend an orientation and take a few additional assessments before they begin classes. Please consult the 2017-2018 Registration and Orientation schedule for registration and orientation dates. Each orientation spans two to three days; attendance on each day is mandatory. Does EGHS accept students expelled from other schools? Does EGHS have parking for students? We do not have parking for students. You may pay to park in nearby lots, or in metered parking on the street. RTD lightrail and bus is easily accessible. EGHS will provide free RTD passes if students have less than two absences per month and are making good academic progress. For more information, please reference the Student Policy Handbook.